Jen-A-Fusion Fashion Accessories: CLNS Fine Art Festival This Saturday! I'm excited about this little festival that is brand new for me! 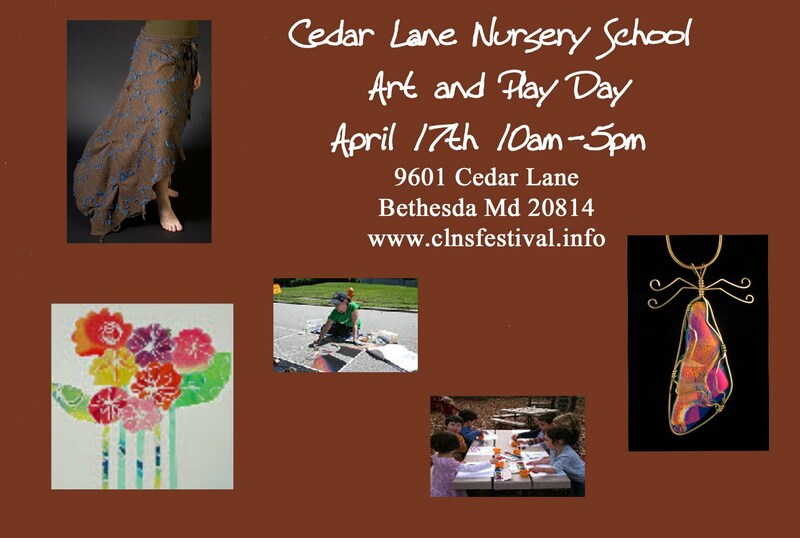 Good things: in Bethesda, (where I don't do many shows), festival is being given as a fund raiser for a nursery school, lots of fun family friendly activities and sun being forecast. Bad things: can't think of any! perhaps not having enough to sell?! Green Tip~ Earth Day Month! Remember to celebrate Earth Day on Thursday, April 22. At the very least, try to walk softly that day, recycle a water bottle, don't do take out in styrofoam and perhaps walk that day. And, then, try to hold that over into the next day and then the next day... more habits can be changed, when you put your mind to it. 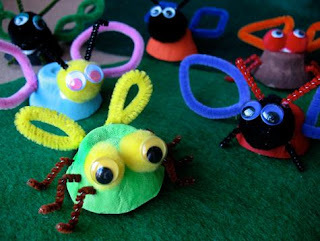 Or, try to make some recycled crafts, such as these egg cup insects.